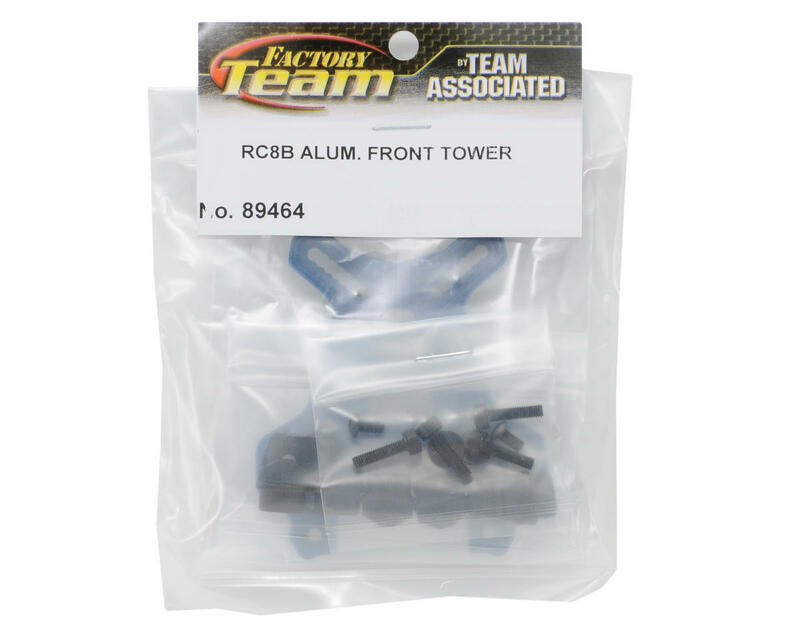 This is a replacement Team Associated front shock tower, and is intended for use with the Associated RC8B 1/8 Buggy. Team Associated's all-new shock towers have been developed by the AE engineering staff and were race tested by factory team drivers. 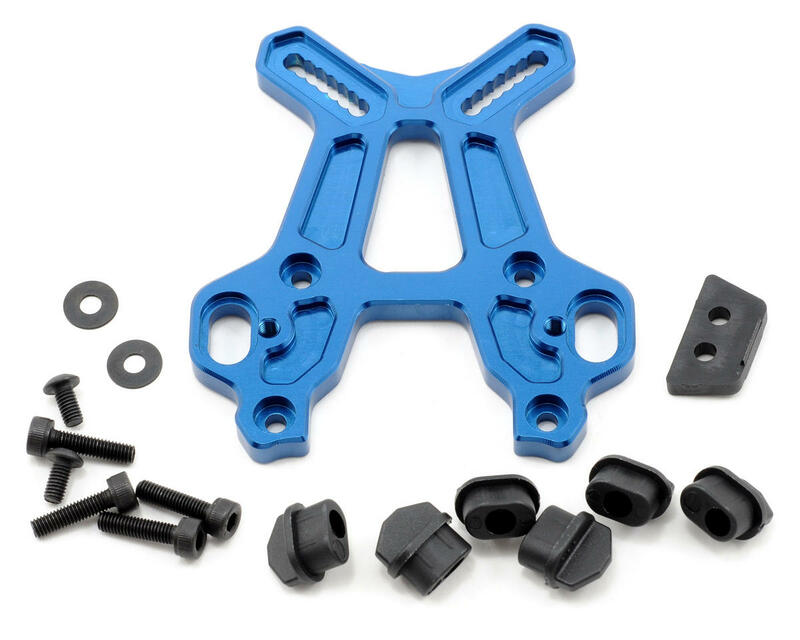 This new front shock tower has been CNC machined from 7075 aluminum and features additional shock mounting positions with a wide variety of tuning options for varying track conditions. This shock tower comes stock as standard equipment on the RC8B and can be fitted to existing RC8, RC8RS, and RC8e chassis. All installation hardware and a set of front hinge pin bushings are included.